The Grand Canyon, Route 66, Mount Rushmore, the Golden Gate Bridge — these emblems of American travel have probably been on your bucket list since you first saw pictures of them on a classroom projector. But when are you actually going to get out and see the United States of America? While finding cheap flights to Europe and last-minute Caribbean all-inclusive deals is temptingly doable for every long weekend, what if you stayed local and saw more of this expansive country? Well, 2017 may be the best time to do just that. A new study by Foursquare found that international tourism to America has dropped by 11% and figures look grim for any increase in foreign visitors for the rest of this year. And while the lack of international tourism in the United States has certainly been hard on the hospitality industry, now is the time to book that flight to Orlando or schedule a road trip through Yellowstone and Yosemite. Why? Rather than getting discouraged by an increasing lack in international spending, hotels, retailers and others in the industry might take advantage of this unfortunate slump to lure in more Americans to domestic destinations. Foursquare CEO Jeff Glueck said via phone that the company looked at data in terms of the national economy, noting that "the retail sector is already under pressure" from online retailers and e-commerce specialists, like Amazon, who replace the need to actually go outside to get anything. "We have an enormous global community," Glueck said of Foursquare's users and the company's curiosity regarding how people are spending their time and where. Glueck, who said that he and his company do not take an official public policy stance, noted that California is down in tourism, likely thanks in part to visitors from Latin America not crossing the border "in this new climate." Tourists from the Middle East — traditionally "large spenders" when abroad — are also lagging since President Donald Trump introduced his travel ban in January. With the U.S. dollar up, it's also more expensive than before for international travelers to visit and "further restrictions on foreign tourism aren't going to help," Glueck said. 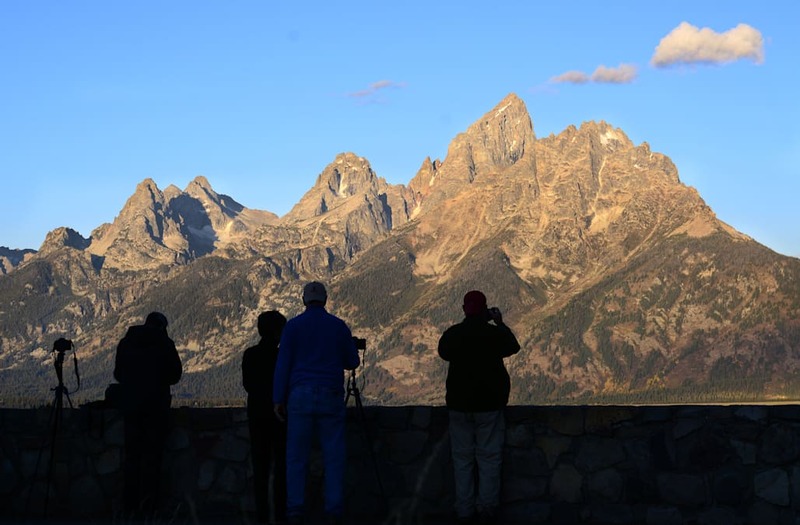 Because international travelers aren't spending as much time or money in the U.S., Americans can take advantage of the need to fill National Parks, monuments and historic homes during peak season. "[This] may even open up less crowded travel opportunities for Americans," Glueck said. As a "location intelligence company," Foursquare can't necessarily predict the future of travel, but its two apps, City Guide and Swarm, show data trends that travelers eager for a good deal should jump on. User data shows a pique in interest in domestic vacation destinations including Lake Tahoe, California; Newport, Rhode Island; Saratoga Springs, New York; Scottsdale, Arizona and the emerging food-loving neighborhood of Fishtown in Philadelphia. Thanks to the competitive nature of the hospitality industry, more interest means more deals. Sarah Spagnolo, Foursquare's director of public relations, added that businesses in these destinations and beyond can use location intelligence to plan promotions, deals and other ways to attract visitors. So you can thank big data for that shockingly cheap bucket list getaway you're about to book this summer.